Whether it is your pet or your neighbors pet, you don’t like seeing your pet’s waste on your lawn. While we all love our pets we do not enjoy having to pick up their waste. As a pet owner you are responsible for waste disposal and owning a pet waste disposal system will take care of this unpleasant task. We have selected the best disposal systems on the market to make the dirty business of waste disposal for your pets easier. 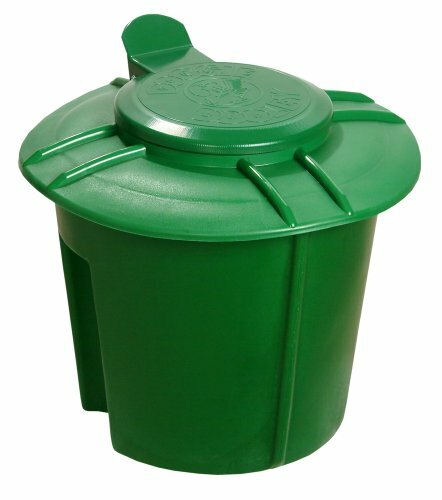 The Doggie Dooley 3000 Septic-Tank-Style Pet-Waste Disposal System is 13 ¾ x 13 ¾ x 15 inches in size and is perfect in size to conveniently dispose your pet’s waste. The device works like a small septic tank and is ideal for up to two large dogs or four small dogs. 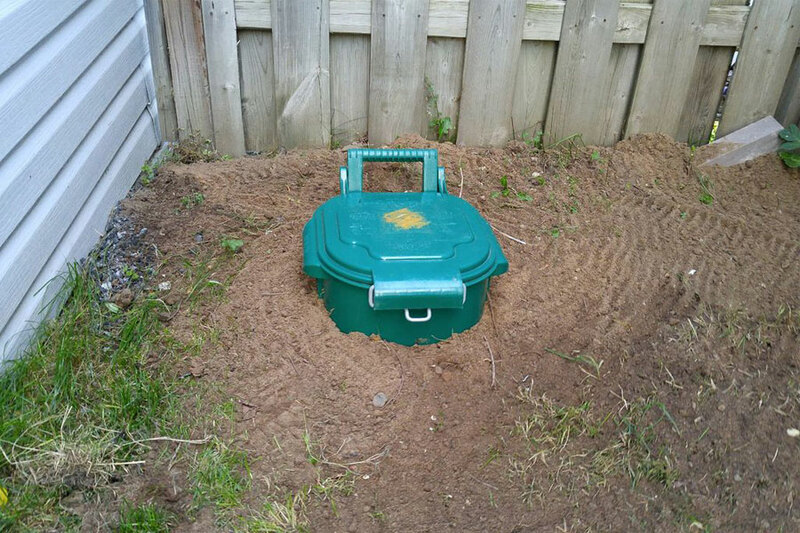 The pet waste disposal system can be put into the ground without harming the environment. The device has a digester that is already installed that will help compost the waste into the ground making your terrain more fertile. The body of the Doggie Dooley 3000 Septic-Tank-Style Pet-Waste Disposal System is a steel tank. For easy access the lid can be opened by stepping on the black lever. The pet waste disposal system is made in the USA. You will no longer have to handle your pet’s waste with your hands. Now you can shovel the waste into this handy pet waste disposal system. The Lucky Champ Litter Champ Premium Pet Waste and Odor Disposable System, Taupe is a great way to dispose your cats waste while reducing odors. It comes with a continuous bagging system that allows for easy bag replacement. It also comes with a bag liner that is biodegradable making the system environmentally friendly. The pet waste disposal system can hold up to four gallons of waste. A magnetic scoop is also provided to help you clean the pet’s waste without having to get your hands dirty. The scoop can be attached to the pet waste disposal system. 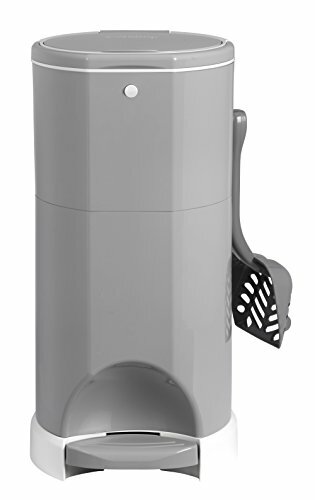 The disposal container is made of a resin design which is attractive, odor free and easy to clean. The Lucky Champ Litter Champ Premium Pet Waste and Odor Disposable System comes with a five year warranty. The Doggie Dooley 2000 Plastic Septic-Tank-Style Pet-Waste Disposal System is safe for the environment and will not harm anything once it is placed in the ground. This pet waste disposal system is meant for one large dog or two small dogs. The device is very handy and will make it so you no longer have to pick up your pet’s waste with a bag. Instead you can simply shovel the waste into the septic like device. The device is made of a strong plastic which makes it durable. To open the lid, you simply step on the lid making it even easier to dispose of your pet’s waste. This device includes a digester to keep the waste compacted. The pet waste disposal system is 11 ½ x 11 ½ x 15 ¾ inches in size and is the perfect sized pet waste device that is certain to make your life easier. 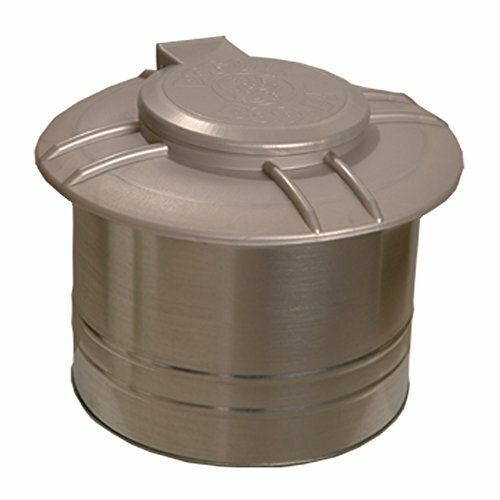 The Doggie Dooley 2000 Plastic Septic-Tank-Style Pet-Waste Disposal System is made in the USA.